Home › Sociology › culture wars › Welcome Rudd and Gillard. There was champagne, there was whooping, there were tuneless chants of “Cheerio, cheerio, cheerio!” I’d like to issue a hearty welcome to Kevin Rudd and Julia Gillard. 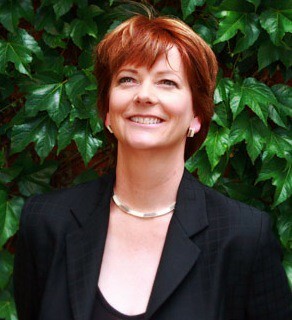 For overseas Hoyden readers, Julia Gillard is the first woman to become Australia’s Deputy Prime Minister. 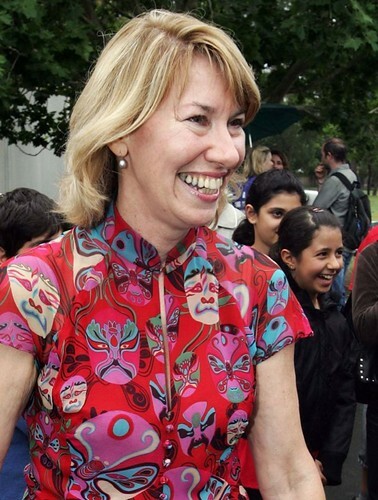 And I’m still holding my breath hoping we’ll be welcoming Maxine McKew to the seat of Bennelong, previously held by John Howard. If McKew gets up, it will be the first time a sitting Prime Minister has lost his seat since Stanley Bruce in 1929. And for those following the invasion of Aboriginal Australia: the former Minister for Indigenous Affairs, Mal Brough, is now unemployed, to be replaced in his seat by Jon Sullivan. Buh-bye! I had. Fixed, thankyou! You really shouldn’t expect much from tigtog ‘n’ me today. what a great photo of Julia! I’m loving Gillard so much (well, I always did, but she was great on ABC last night! )– she’ll be great for Australian women, I am sure. I’m hoping that Rudd will learn from Howard’s blunder, and quit at the top of his game, handing over to Gillard after 2.5 terms. I’m sad that we are going to lose Kerry Nettle though. 😦 I hope she runs again next time! I am loving the Labor women too. They seem to be both whip-smart and compassionate. Rather a contrast with people like Vanstone and the Bishops. Isn’t it great? She looks full of joy. I’m not sure when it was taken, but I like it. It’s a great start, it will do for now, but I have loftier ambitions for the country in the long term – Maxine for PM!! The Labor women are very inspiring – Gillard, Plibersek, Wong etc etc. I hope plenty of them make it on to the Front Bench and wasn’t it lovely to see Gillard blushing away at all the applause and cheers she received in the Tally Room? Favorite moment – Gillard doing a very subtle “yes!” victory hand gesture in the tally room, to which Kerry O’Brien made a subtle “hand across mouth to hide victory smile” gesture. As a feminist friend said today – such a contrast to the arrogance of the Libs who felt entitled to it.